The book's comprehensive contents include thorough coverage of the types and distribution of these fishes, their diversity and the environmental conditions and communities in which they live. 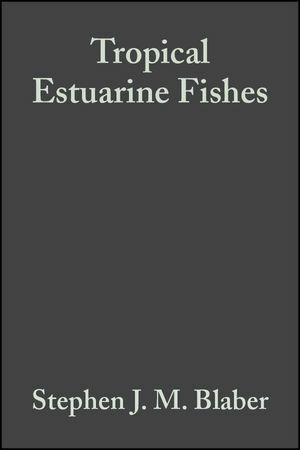 Full details of their biology and ecology are an integral part of this book, as are details of these fishes' dependence on estuaries, man's interaction with the estuarine fish community and the conservation of estuarine species and the often threatened habitats upon which they depend. The author, Stephen Blaber, has a vast wealth of experience in the subject areas covered by this book and has produced a stimulating and extremely valuable volume that will be of huge importance for all those concerned with these fishes. He is based at CSIRO Marine Research, Cleveland, Queensland, Australia. Readership should include: fish biologists; fisheries scientists; aquatic scientists including those concerned with brackish, marine and freshwater environments; ecologists; environmental scientists and population biologists. Students studying for qualifications in fish biology and fisheries, particularly where there is a tropical element to their course will find this book of great value as a reference. Copies of the book should be available on the shelves of all libraries in research establishments and universities where biological sciences, fish biology, fisheries science or aquatic sciences are studied and taught. Stephen J. M. Blaber is the author of Tropical Estuarine Fishes: Ecology, Exploitation and Conservation, published by Wiley. 2. The Diversity of tropical Estuaries. 3. Fish Faunas and Communities. 6. Effects of Structure and Hydrology. 7. Mangroves and Estuarine Dependence. 10. Effects of Industry and Agriculture. 11. Conservation, Rehabilitation and Climate Change. "...any student or scientist working on tropical estuarine (or coastal) fishes must have this book."